Warner Bros. has released the first Aquaman poster to coincide with lifting the embargo on the film’s set visits. Indeed, Collider’s own Steve Weintraub visited the set of the ambitious DC film and came away with tons of new information on what fans can expect, and now he can tell you all about it. These reveals also come days before the film is expected to be unveiled even further at San Diego Comic-Con. Aquaman will be highlighted during Warner Bros.’ panel on Saturday, at which point the very first trailer for the film will be released to the public. James Wan is the director of Aquaman, and indeed he was a highly sought after filmmaker after making his blockbuster debut on Furious 7, on which he also successfully navigated one of the most difficult productions in history. Wan made his bones in the horror genre with films like Saw and The Conjuring, but Aquaman gives him a chance to put his stamp on the superhero genre, and he’s going all out. This poster is a nice and colorful tease of Jason Momoa’s titular character, who appears to be commanding a gaggle of various sea creatures ranging from sharks to whales to turtles. We can only assume this photo was snapped moments before a feeding frenzy broke out, at which point Aquaman found himself with lots and lots of blood on his hands. Wan has indeed said Aquaman is lighter and more colorful than the DCEU films that have come before, specifically pointing to the romantic adventure Romancing the Stone as a touchstone in terms of tone. We’ll know a lot more when we see the trailer, but for now take a look at the Aquaman teaser poster below. 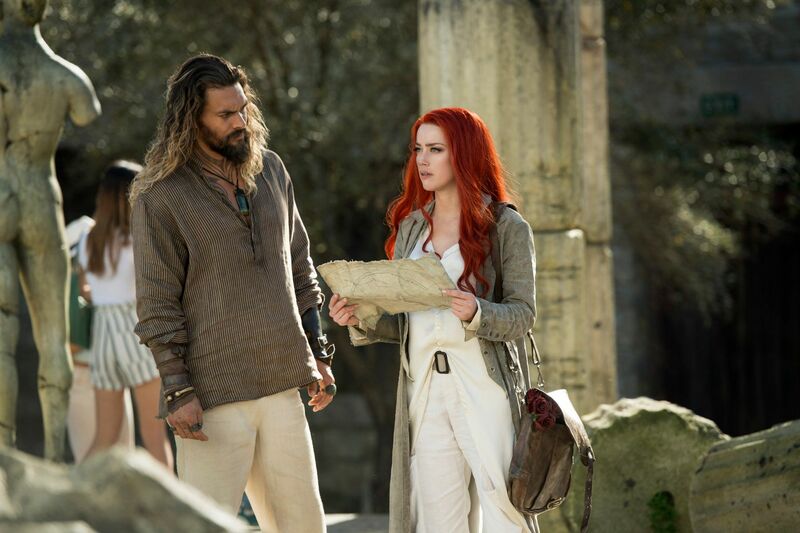 Aquaman also stars Amber Heard, Patrick Wilson, Nicole Kidman, Willem Dafoe, and Yahya Abdul-Mateen II. The film opens in theaters on December 21st.